This review is no longer available to order. The specification is no longer available. 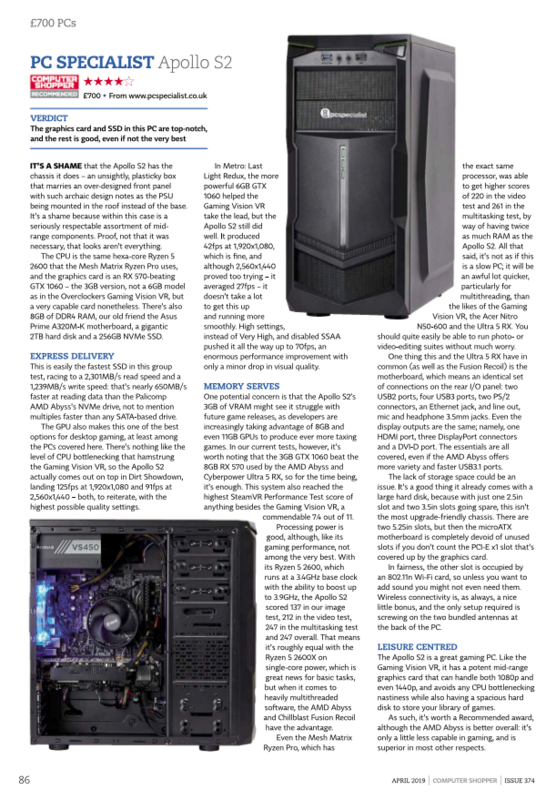 PCSpecialist is an award winning manufacturer of high quality computers and laptops, with reviews from many industry leading magazines and websites.